The multi-talented toy & sneaker customizer Sekure D is making a journey halfway around the globe for a U.S. art tour. 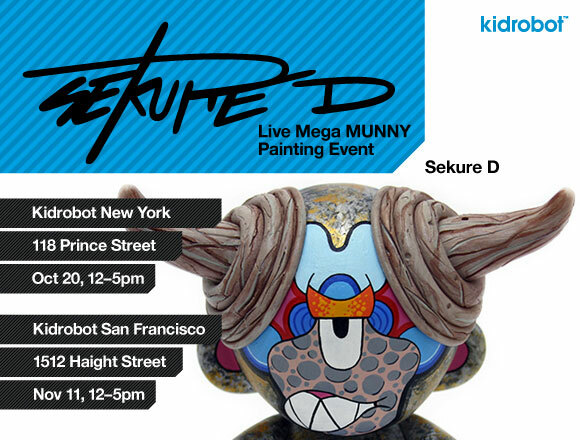 The Australian artist will be bringing his painting and sculpting skills to Kidrobot New York October 20 and Kidrobot San Francisco November 11 and customizing a Mega MUNNY right before your eyes. Both live DIY events will go from 12-5pm.